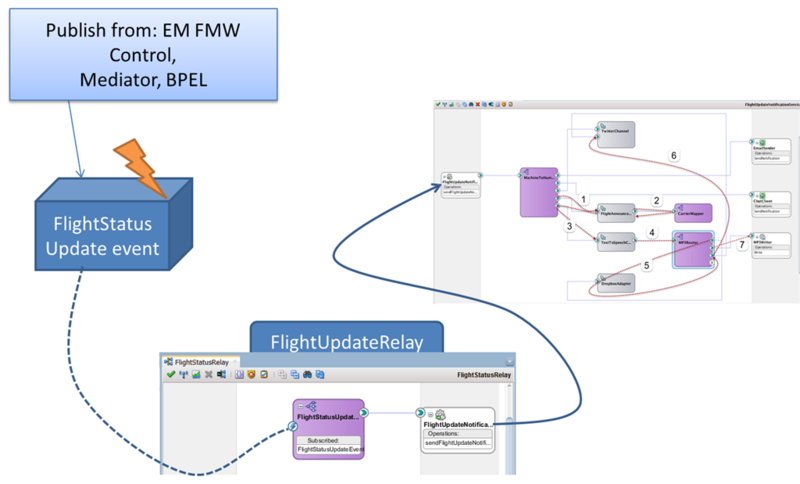 In this section, we will define the FlightStatusUpdate event in an EDL file, the definition format for EDN. We will then create a new SOA composite that registers on this event using a Mediator and that makes calls to the FlightUpdateNotificationService for every person and channel – email, Twitter, chat – for which an active interest in the flight is registered. We will use the test facility in EM FMW Control to publish the event on the EDN. The sources for the final situation for this section are found in folder FlightStatusRelay.